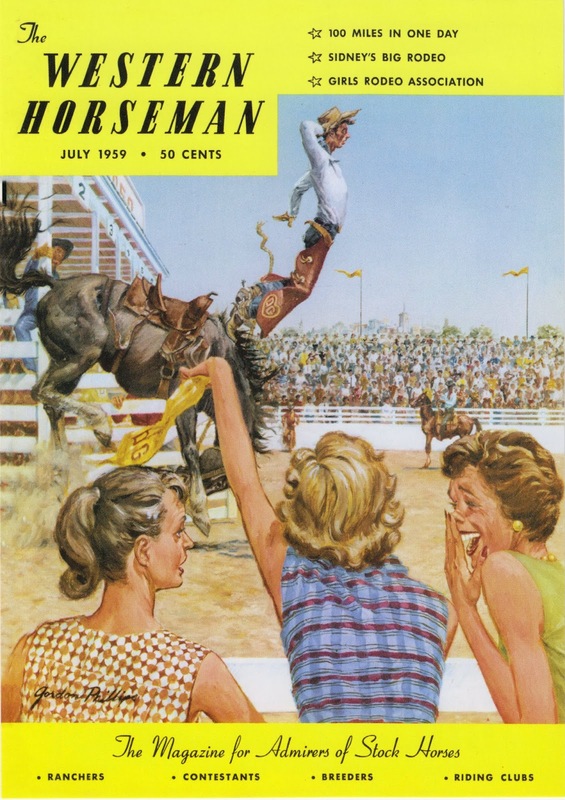 Postcard US-2663919 to New York shows another amazing cover of The Western Horseman magazine from the July, 1959 issue. According to artist Gordon Phillips, "Every rodeo has one," meaning that for the local cowboy who saves his money to enter his hometown rodeo, more often than not, cheers from the crowd will be his only reward. The magazine costed 50 cents per copy in 1959.